Lord, you have given to us the Blessed Virgin Mary as mother of our hope. Under her protection, may we pass though this uncertain world with our hopes fixed on heaven and so enter into your kingdom. Amen. 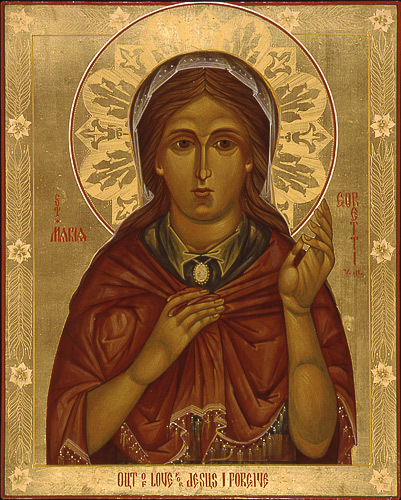 O God, author of innocence and lover of chastity, who bestowed the grace of martyrdom on your handmaid, the Virgin Saint Maria Goretti, in her youth, grant, we pray, through her intercession, that, as you gave her a crown for her steadfastness, so we, too, may be firm in obeying your commandments. Through our Lord Jesus Christ, your Son, who lives and reigns with you in the unity of the Holy Spirit, one God, for ever and ever. Amen. 16 October 1890 – Maria Goretti is born in Corinaldo, Italy to Luigi Goretti and Assunta Carlini. 17 October 1890 – Maria is baptized in the Church of San Francesco in Corinaldo. 4 October 1896 – Maria is confirmed by Mons. 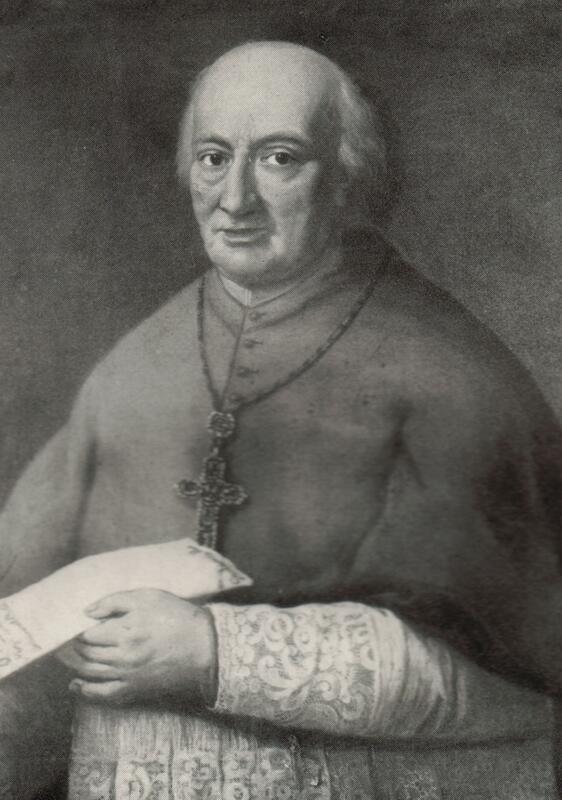 Giulio Boschi, Bishop of Senigallia. 5 July 5, 1902 – Maria is mortally wounded at 3.30 p.m. by her neighbor, Alessandro Serenelli, who attacked her with intent to sexually abuse her. He was 20 years old. 6 July 1902 – Maria dies at the age of 11 years, 9 months and 21 days, after forgiving Alessandro. 31 May 1935 – Commencement of the informative process at Albano. 27 April 1947 – Maria is beatified by the Roman Catholic Church. 24 June 1950 – Maria Goretti is declared Saint in St. Peter’s Square, Rome. 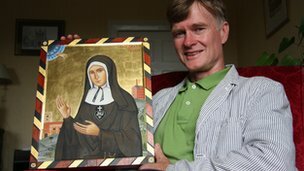 Elizabeth Prout, known as Mother Mary Joseph of Jesus, was the founder of the Passionist Sisters or the Sisters of the Cross and Passion. Looking at the life of Elizabeth Prout is like examining a diamond ….